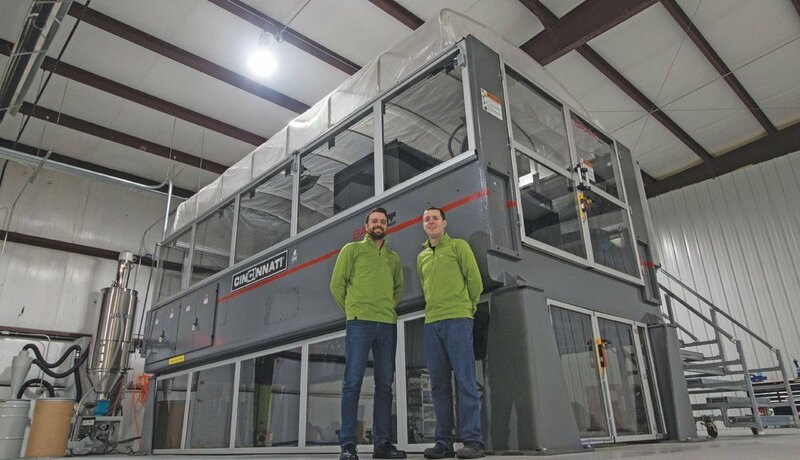 How did a massive 3D printer find its home in Akron? The floors are clean, the walls are white, and the company color — bright green — frames doorways and accents the conference room ceiling. There are two work spaces in the main office, with desks that face a pane of glass. Beyond the glass sits one of the world’s largest polymer 3D printers, an imposing machine called BAAM (Big Area Additive Manufacturing). This is not your average machine shop. 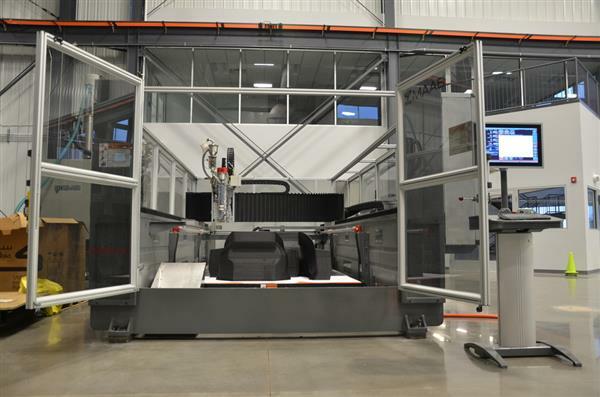 Additive Engineering Solutions (AES) is the only company in the world where you can have things 3D printed at this scale in the private sector, and the printer’s capabilities serve a wide range of industries. At any given moment, you might find window casing molds for a Brooklyn skyscraper, tooling for carbon fiber airplane parts and foundry patterns for metal casting at different stages of production within the shop. The focus is mainly on molds, but they keep a small percentage of jobs open for projects that don’t fall into that category, such as prototypes and mockups. “The original intent was to focus on the engineering and design side and not trouble ourselves with production,” says Austin Schmidt, co-founder and president of AES. In 2015, Austin was working remotely for Caterpillar in their additive manufacturing branch. On the day he moved back to Ohio from Illinois, he met Andrew Bader at a young professionals networking event. Andrew was doing marketing for OGS Industries, his family’s metal stamping and fabrication company. Andrew and Austin were the only guys in manufacturing at the networking event, and they hit it off right away. Andrew suggested Austin give a presentation at OGS Industries on applications for 3D printing. Austin’s presentation got the wheels turning. OGS Industries found an immediate use for 3D printing. If OGS could find an application, other shops would surely have a need for the new technology. Andrew and Austin then started a consulting business, connecting those with a need for additive manufacturing (or 3D printing) with companies already using the new technology. Andrew’s uncle, Tom and father, John joined as partners. Together, they launched AES in August of 2015, with Austin as president and Andrew handling business development. Not long after the launch, Austin had the opportunity to visit Oak Ridge National Laboratory in Tennessee, where BAAM was being developed. This was a game changer for AES. Once they had more experience with the technology, it was hard to ignore the possibility of putting this machine to use. “3D printing is a very general term that encompasses a dozen different technologies that people dub as 3D printing. This one was special because of the scale. 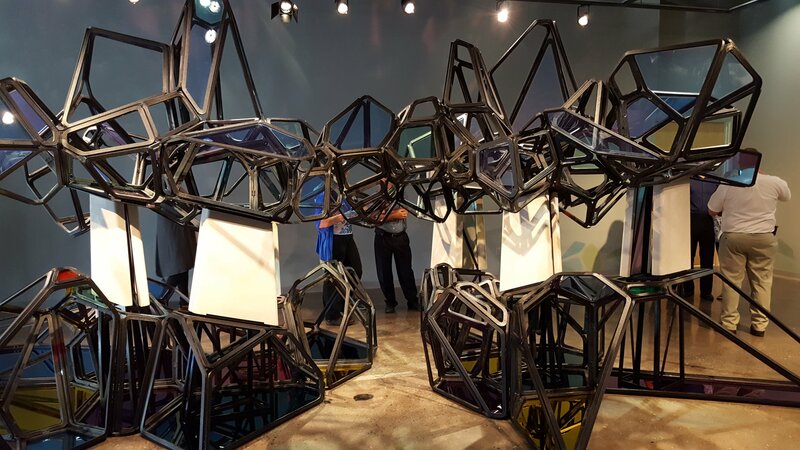 It’s one of the world’s largest polymer 3D printers…by a long shot really,” Andrew says. After that visit to Oak Ridge and another trip to Cincinnati, Inc. in Ohio (where the machine itself is manufactured) the vision was becoming clear. Oak Ridge was focused on research and was turning down jobs left and right. AES placed an order for their machine in July of 2016. The machine would take six months to build. In September of 2016, Austin left Caterpillar and started full time at AES. They were up and running in January 2017, with the total investment at roughly $1.6 – $1.7 million. Austin and Andrew used roughly 90 percent of the invested funds on equipment they sourced from Ohio-based companies. Eliza R. Williams primarily writes emails, grants, and papers for her graduate program at Weatherhead School of Management. When she grows up, she wants to be a journalist.